Microsoft to Reveal New Version of Windows ! A Microsoft spokesman declined to comment, as did an Intel spokesman. An ARM spokeswoman also declined to comment. Microsoft, based in Redmond, Wash., has struggled to match its dominance in PC operating systems in markets such as smartphones and a new breed of consumer tablets that Apple has come to dominate since introducing the iPad last spring. Chips based on designs licensed by ARM consume less power than most x86 chips, helping to make them an overwhelming favorite in smartphones. Microsoft already sells versions of Windows for cellphones that support the technology, but has remained firmly committed to x86 chips in the mainstream version of the product used in PCs and server systems. The relationship between Microsoft and Intel has been so close since the early 1980s that it is sometimes abbreviated as "Wintel." On the other hand, Microsoft and Intel have worked with other partners outside of PCs. Intel, for example, has been supporting Google Inc.'s Android operating system in tablet-style computers, as well as software called Meego that Intel developed with Nokia Corp. According to two people close to Microsoft, the company has had a project for some time to create a version of Windows running on ARM-based microprocessors. One of those people said the effort is part of a broader push at Microsoft to make Windows more "modular" so that pieces of the operating system that are unnecessary for smaller, low-power devices like tablets can be easily stripped away to make the software perform snappily on the gadgets. The strategy is similar to the one Apple has employed with iOS, the lightweight operating system for iPads, iPhones and other devices that is derived from Apple's full-blown Mac operating system for traditional computers. Microsoft's plans for the new operating system were reported earlier by Bloomberg. Microsoft Chief Executive Steve Ballmer is scheduled to kick off the CES show the night of Jan. 5 with a keynote speech, in which he is expected to showcase the company's consumer technologies. In a departure from past year, Microsoft has scheduled a press conference that afternoon prior to Mr. Ballmer's speech. Microsoft helped pioneer the tablet concept, starting in the 1990s with pen-based versions of Windows on devices that use x86 chips. But the latest models based on Windows 7, Microsoft's latest operating system, have been far overshadowed by Apple's success with iPad. Though Microsoft has previously said lower-power microprocessors Intel is developing will help make Windows tablets more attractive, many analysts think a more profound overhaul of Windows is needed to make it better suited for consumer-oriented tablets. It's unclear how quickly Microsoft can deliver a new tablet-friendly version of Windows. 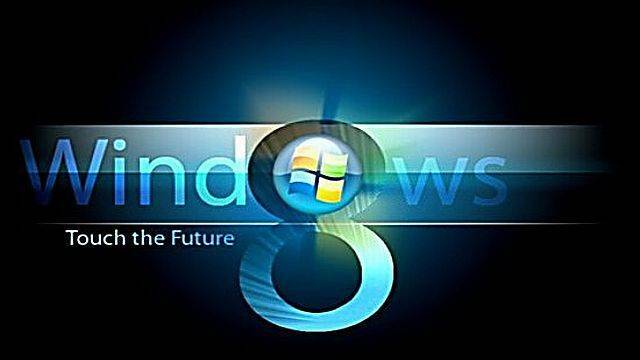 The next major release of the operating system, Windows 8, isn't expected until 2012 some time. "They're desperate to show they're in the game," one of the people familiar with Microsoft said.